The individual and family plan prices are confirmed along with some additional details on how this new subscription will work for users. The long-awaited start of the online service for Nintendo's hybrid console is set in stone. Memberships for Nintendo Switch Online begin on September 18, 2018, and users will be able to test out the service with a 7-day free trial via the Nintendo eShop. With the Family Membership, a Nintendo account holder "may invite up to seven others to join a family group; all members of the group will have access to Nintendo Switch Online." The full scope of memberships will be available on the Nintendo website and the eShop, with the 3-month and 12-month options also available at Amazon, Best Buy, and GameStop. 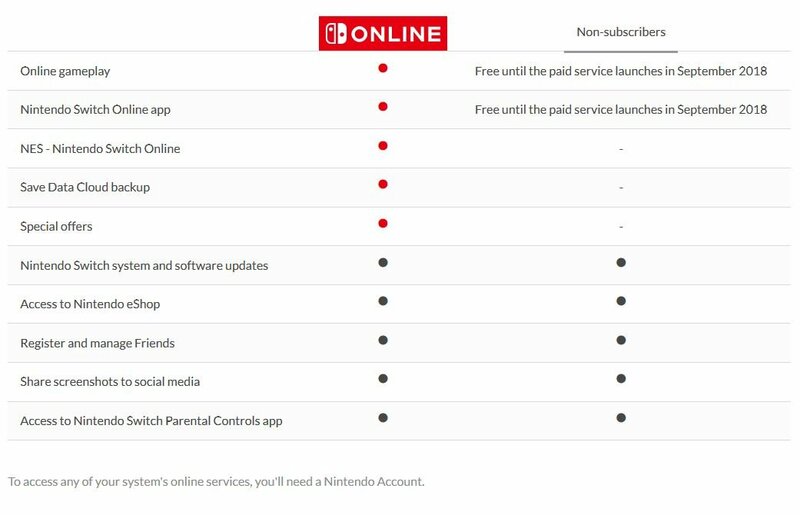 Nintendo Switch Online will remain free to non-scubscribers up until the paid service launches and a deeper dive into the service will happen during the upcoming Nintendo Direct on September 13, 2018. Stay tuned to Shacknews for additional updates.